Reassurance shield as 3 rejoins its old alignment. 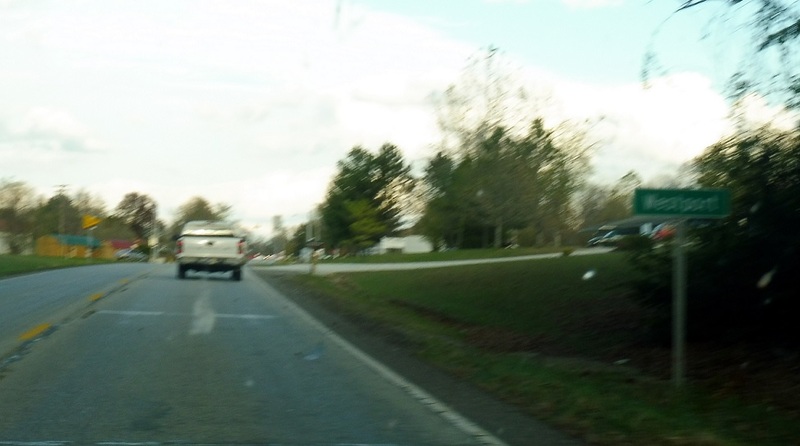 A few miles later, we’ll enter the town of Westport. 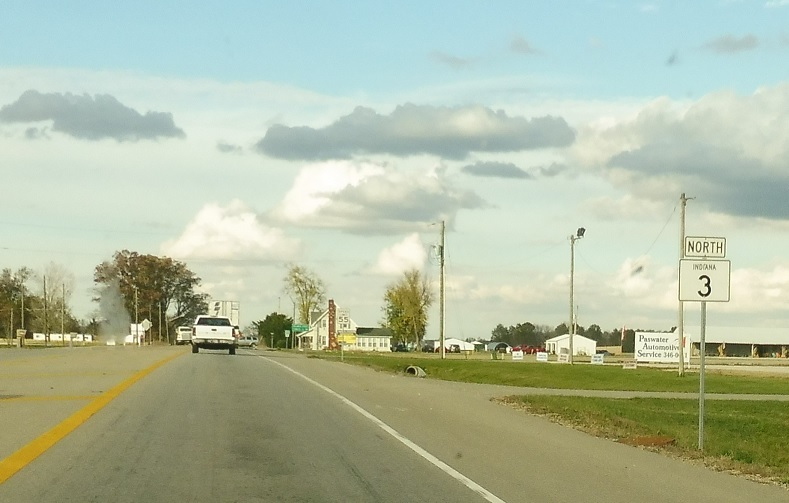 Reassurance shield after the turnoff into downtown. A couple miles later, we’ll pass by unincorporated Letts. 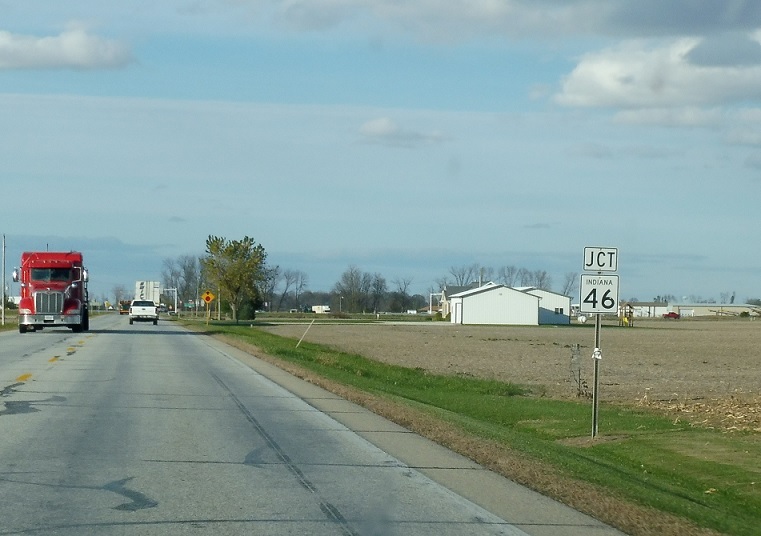 A few miles after that, we’ll approach SR 46. 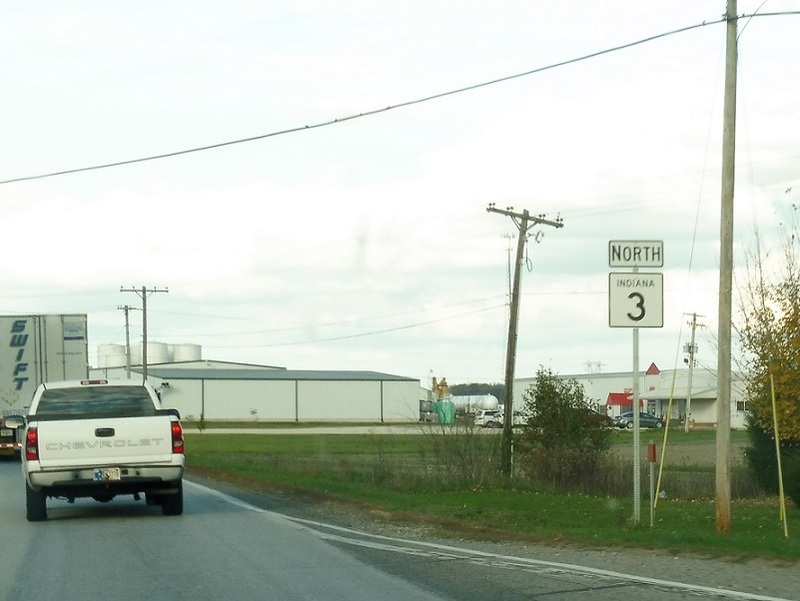 Follow 3 north/46 east towards Greensburg. 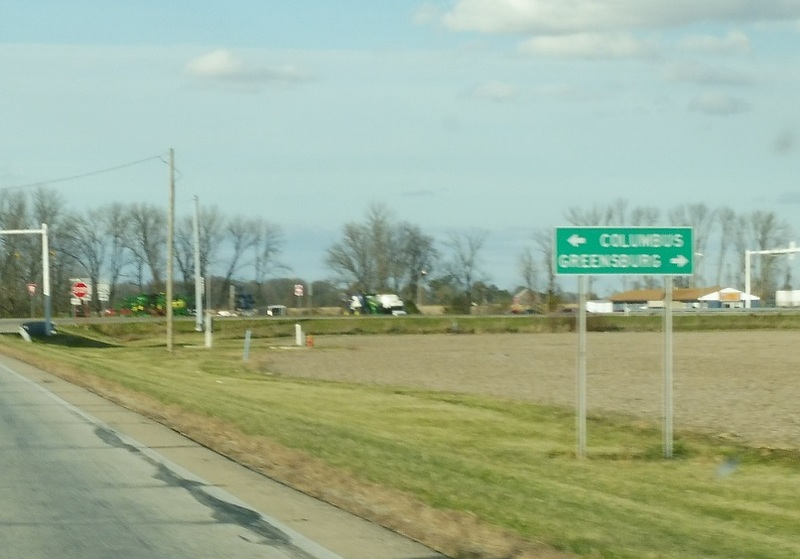 Take 46 west to Columbus. 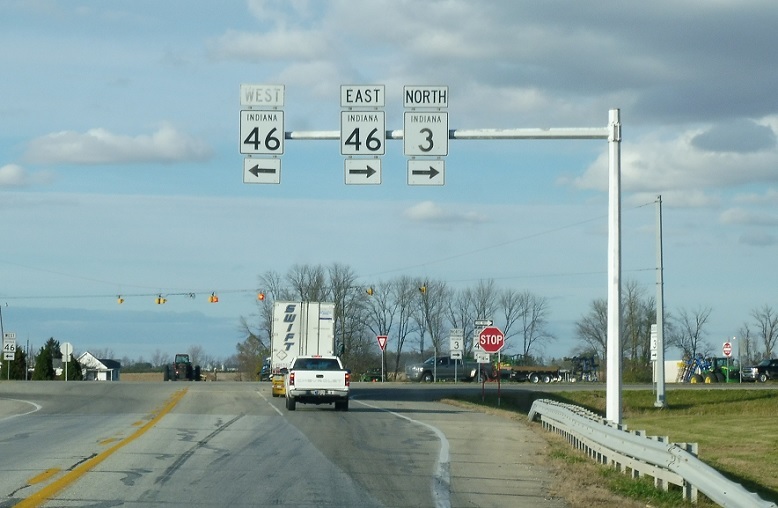 Turn right for 3 north/46 east and left for 46 west. 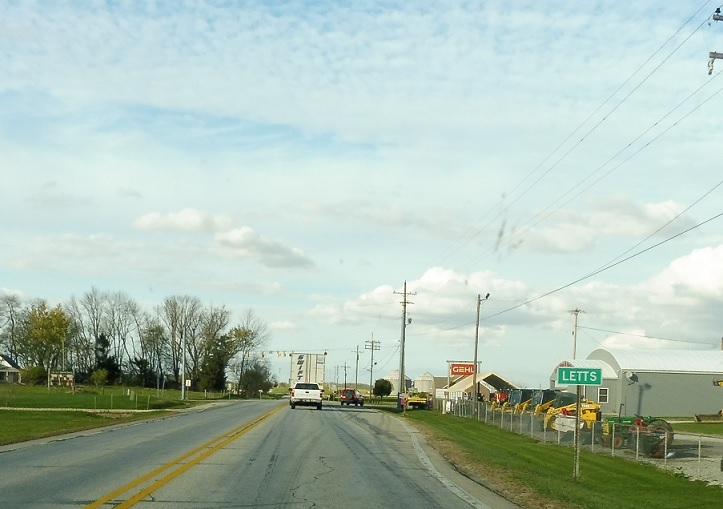 3/46 concur to Greensburg. 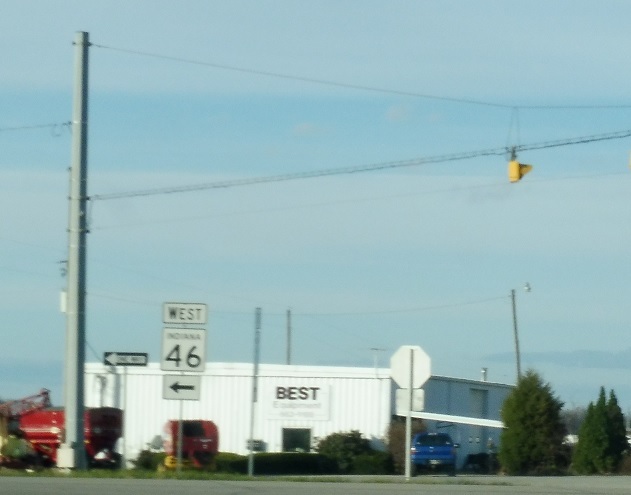 Turn left for 46 west.